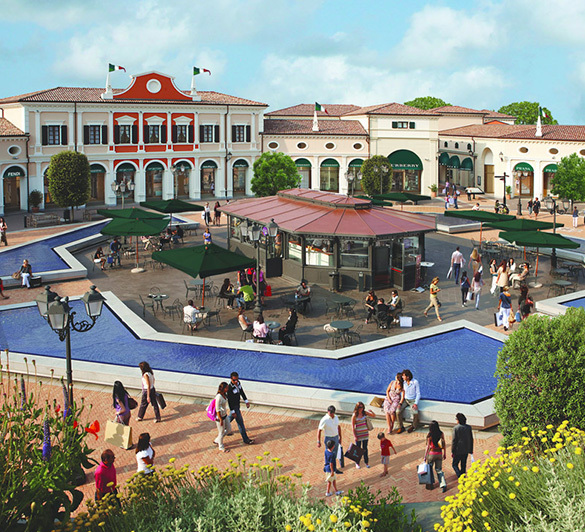 The McArthur Glen Designer Outlet is the shopping temple. More than 200 exclusive brands at reduced prices from 35% to 70% in a elegant and refined location open all year, where yield to temptations will become imperative. High end style in its purest essence. Just 25 minutes from the hotel Domingo, easily reached with a special shuttle bus, at The Noventa Designer Outlet you’ll enjoy a unique shopping experience. Inside you will find numerous dining areas for a tantalizing pause, a large children’s play area, free WiFi and a multilingual staff ready to help you. Jesolo-OK & McArthurGlen Designer Outlet Noventa di Piave present Jesolo-Ok Vip Card, the best way to save for your shopping! Practical and easy allows you to get an additional discount of 10%. If you choose to take a holiday in one of the twelve hotels of Jesolo-OK, ask the card at reception, is free! All guests who will present the Vip Card Jesolo-Ok at the Info Desk of Noventa Designer Outlet will be released the “Fashion Passport”, the special day discount card that entitles you to receive an additional 10% off on the already discounted prices from 35 to 70% all year round. The discount cannot be combined with any other promotions and is valid in participating stores. Ask it at the reception: it’s free! An exclusive gift only for our guests!! The beautiful promenade that runs parallel to the waterfront is all a hive of shops of all kinds; from clothing and shoe stores, to restaurants and ice-cream shops, from typical products to local crafts. Privileged way of shopping and evening walk is therefore via Bafile, the trade route that extends for 13 km and that during the summer is closed to traffic from 20 pm to 6 am, becoming a continuous pedestrian area. For those who love the slow and relaxed pace of traditional markets Jesolo and Cavallino offer numerous opportunities to visit coastal markets. Every Friday is held in piazza Kennedy in Jesolo country the weekly market. Reachable by bike or public transportation, offers plenty of stalls selling fruit, vegetables, cheeses and meats of the area, clothing, accessories and more. It’s a pleasant teem of colors, fragrances and vivacity. In Cavallino the market is held on Tuesdays. Even this very large and distinctive, inside you can breathe the real local air and admire the daily life of the people. 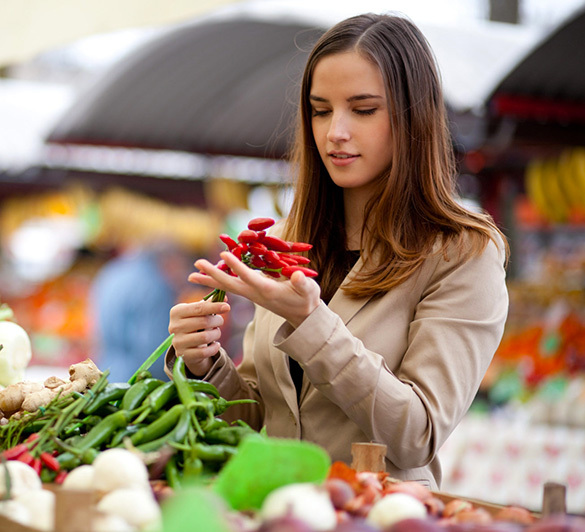 Also on monday in Jesolo and on wednesdays in Ca’ Savio the freshness of the local farming and the flavours of our land and sea relive in the weekly farmers’ market with products in km. 0. If it’s still not enough, the summer in Jesolo is a hive of markets of antiques, of crafts and of collectibles. Follow us to stay updated on events.